At the height of the Great Depression in 1933, between 13 million and 15 million people were without work across the United States. That same year, the Works Progress Administration was established by President Franklin D. Roosevelt to provide relief and jobs to Americans. Among those who benefited from the WPA were artists through the Federal Art Project (FAP), established two years later in 1935. These artists were hired to create performance art pieces, paintings, drawings and more. Now, more than 80 years after the founding of the WPA, art created as part of the program is on display at the Racine Art Museum in the "WPA Art from RAM's Collection" exhibit. Lena Vigna, curator of exhibitions at RAM, said that while the government provided some financial support to artists through the FAP, artists were not getting rich through the program. "They were struggling in the same way that other people would be struggling," Vigna said, pointing to other professions like engineering and construction, which were hit hard by the Great Depression. "But there really was this strong desire to increase positivity on a lot of fronts, and it seemed as if there were enough artists producing and enough artists working and enough support — not without some conflict — but enough support to put programs in place to allow the artists to keep working," she continued. The program was not without controversy, but lawmakers eventually signed on because there was a belief that art could help Americans move past the Great Depression, Vigna said. Of the art created during this time, more than 260 pieces ultimately ended up at RAM. 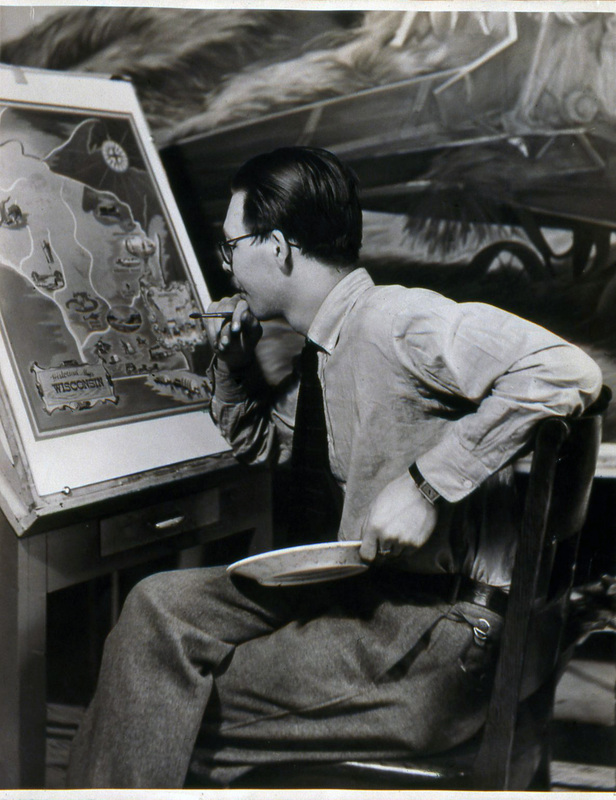 The museum's first director, Sylvester Jerry, was a WPA artist relocated from Michigan who helped administer the Federal Art Project in Wisconsin. "He was significant in bringing the lens of the WPA to the Wustum Museum," Vigna said of RAM, formerly called the Wustum Museum of Fine Arts. The WPA projects that made their way into the RAM's collection include watercolor paintings, photographs, sculptures and more. 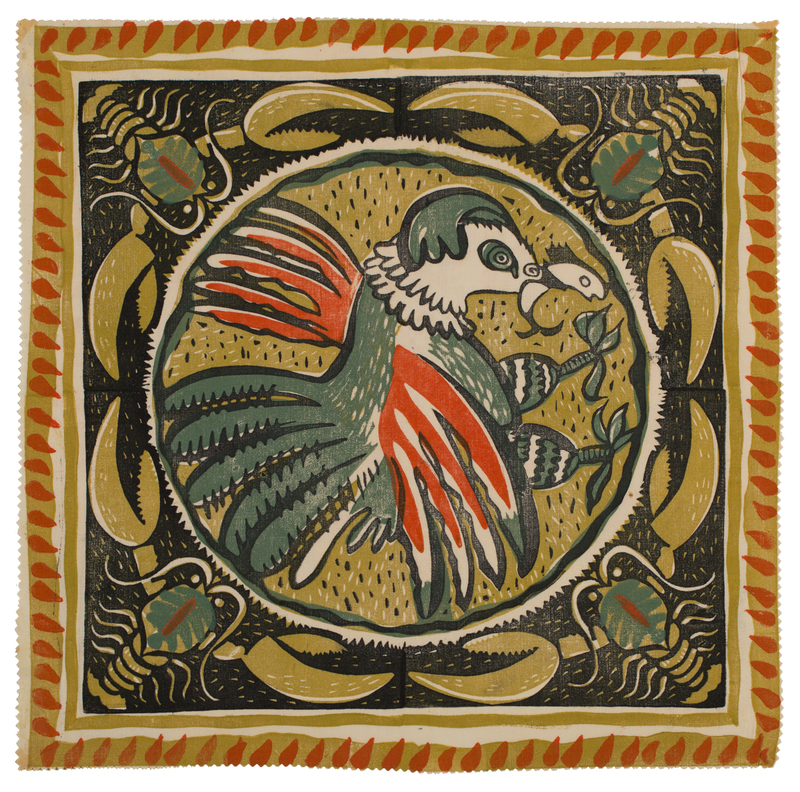 But the collection also received a number of craft art pieces special to WPA projects established in Wisconsin, such as the Milwaukee Handicraft Project (MHP). The MHP — which began in 1935 when Harriet Clinton, the head of the Women's Division of Wisconsin's WPA — was particularly special, Vigna said, because it helped give people jobs who would normally not be considered for them, including women and African-Americans. "While the workers were not art or craft trained, they were put into programs that would allow them to make block-printed textiles and wall hangings," Vigna said. Many of these projects were commissioned pieces, such as tapestries for nurseries or costumes requested by theater companies. This project attracted the attention of people such as First Lady Eleanor Roosevelt and architect Frank Lloyd Wright because of the people involved and the success of the project. "It was this way to empower people through work, through craft," Vigna said. "And a lot of the people who would start in one of the Milwaukee Handicraft Projects, if they got really skilled, they could be moved into other divisions of the WPA." Beyond the individual benefit people received from participating in these projects, the community benefited as well. Vigna said MHP would be asked to create items such as educational dolls for children that they could then keep. "Those things weren't necessarily available in other avenues," she said. "So, the handicraft project was put into play and given these tasks to sort of help make things a little bit better." Vigna said the art produced through the WPA shows a complex portrait of the U.S. at that time. Some pieces are optimistic and others are solemn. Other works show people on the job. But some artworks display scenes of American despair, such as a piece on display at the museum showing people digging through trash cans. And other art shows Americans trying to continue having a normal life. "It does respond to the fact that while you had such a great cloud cast over the country, you also had these moments of production, and these desires and hopes to sort of move forward and move past what was going on," Vigna said. The WPA employed 8.5 million people through 1943, the year the program ended. The "WPA Art from Ram's Collection" exhibit is on display now at the Racine Art Museum and runs through June 4.